You are invited to drop by to learn about our upcoming season, clinics and the benefits of membership. This is a drop in event where you can speak one on one with Sara and learn about all the events she has planned for us. Registration is not required. We look forward to meeting you! The tea will be on. Tonight's information session is cancelled due to the weather. Stay Safe! You are invited to learn about our upcoming season, clinics and the benefits of membership. Plus you will meet many golfing ladies who are looking to have fun on the course! Registration is not required. Look forward to meeting you. This event is cancelled due to tonight's winter storm warning! You are invited to learn about our upcoming season, clinics and the benefits of membership. 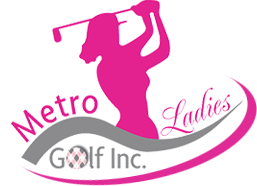 Plus you will meet many golfing ladies who are looking to have fun on the course! Registration is not required. Look forward to meeting you! You are invited to learn about our upcoming season, clinics and the benefits of membership. Plus you will meet many golfing ladies who are looking to have fun on the course! Registration is not required. Look forward to meeting you! You are invited to drop by one of our Open Houses to learn more about our upcoming season and meet our members All Open Houses held at Golf Central in Bayers Lake 201 Chain Lake Dr. Halifax NS Dates: Thursday Feb 28 6-8pm Saturday March 9 1-3pm Saturday March 23 1-3 pm Thursday April 4 6-8pm No registration required! Ladies Masters Party @ Patrons SOLD OUT! !